The Booyah Boo Jig is designed to slip down inside brush piles or through vegetation with ease and efficiency. This jig features a flat bottom and 18-degree hook rise, which positions the hook perfectly for a sure hookset. 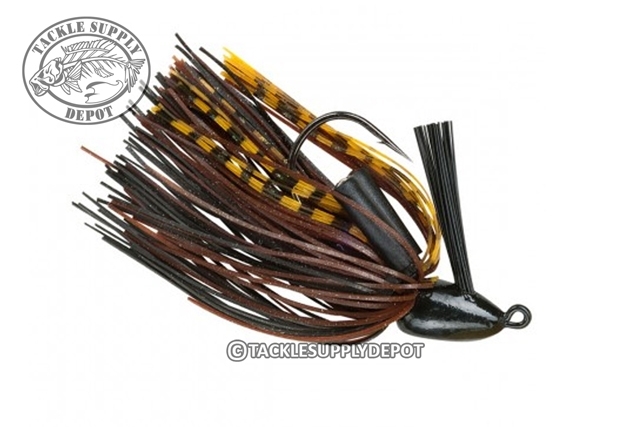 A Mustad Ultra Point premium black nickel hook, heavy weed guard, two magnum rattles and a full body 50-strand Bio-Flex silicone skirt complete this bass-catching package. When searching for bass in wood or grass efficiency in getting in and out quick is key and the Booyah Boo Jig makes this possible.